This is a classic science fiction short story by Harry Harrison. 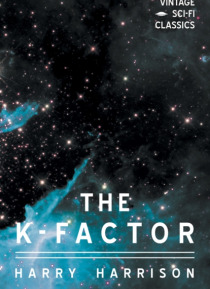 The K-Factor is an equation used to asses the probability of war. A young man is charged with using the K-Factor and the field of Sociatics to avert war on another planet. However, there is a traitor in his midst who has the power to cause a catastrophe. Will he find the traitor? Find out in this classic sci-fi tale. This work is p… art of our Vintage Sci-Fi Classics Series, a series in which we are republishing some of the best stories in the genre by some of its most acclaimed authors, such as Isaac Asimov, Marion Zimmer Bradley, and Robert Sheckley. Each publication is complete with a short introduction to the history of science fiction.